The biggest cryptocurrency exchange in the world in terms of trading volume finally enable the debit and credit card payments for cryptocurrencies through their new partnership with Simplex. Binance was delighted to give this kind of payment service to its clients. Thursday night (January 31), Binance announced that it is now possible to buy cryptocurrency with a use of debit or credit card. According to Binance's Blog, one of their big mission is to increase the accessibility of its users to get crypto in an easy way by using their debit or credit cards. 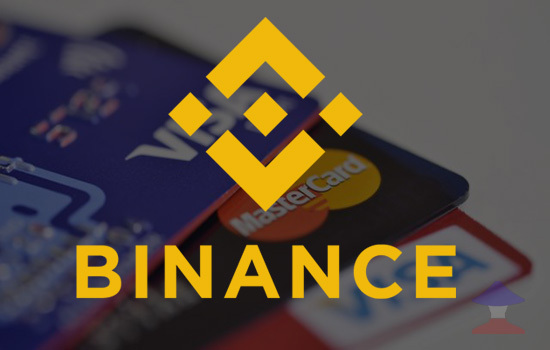 "As part of Binance’s larger mission to increase the adoption and mainstream accessibility of crypto, Binancians are now able to use Visa and MasterCard to buy BTC, ETH, LTC and XRP, and start trading on Binance.com within minutes," Binance's press release. "Convenient: Visa and MasterCard accepted"
As for the fees and limits! Simplex fee is 3.5% of the transaction with a 10USD minimum (flat fee), according to their blog post. "Daily limit is 20k USD per user." "Monthly limit is 50k USD per user." But not all countries can use the payment service because Simplex has list of jurisdictions restricted from using the service. As for the records, Simplex also helps several other crypto exchange companies with debit/credit card processing, including Xaro, BTCC, BitMART Exchange, and Changelly. Comments or suggestions about "Binance Finally Open Debit and Credit Card Payments for Cryptocurrencies" is important to us, you may share it by using the comment box below.